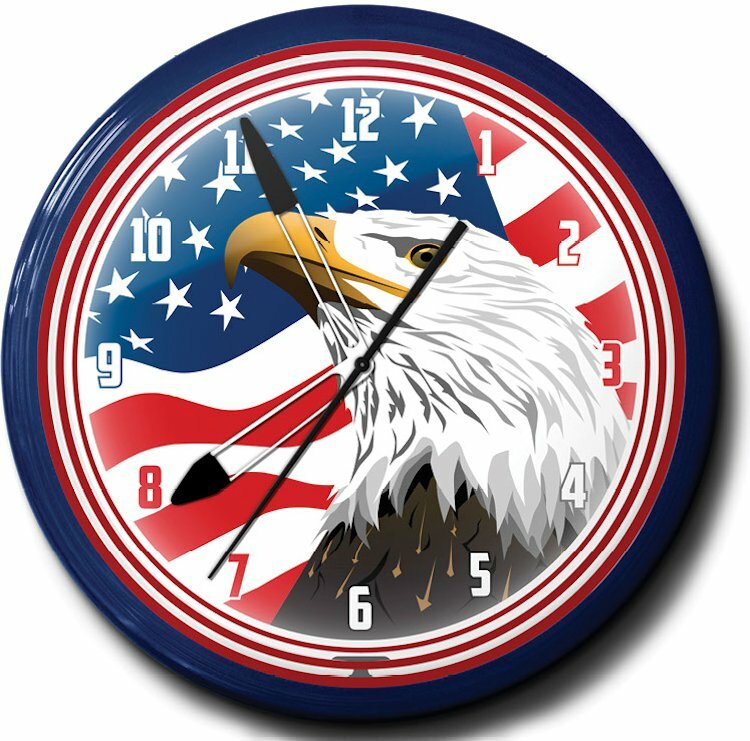 Whether someone is a fan driven by patriotism of red, white and blue or just someone who loves eagles, both individuals will be enthralled by the detailed artwork on these thematic clocks depicting stylized eagles with the colors of Old Glory. Image Time specializes in providing consumers with top knotch clocks. All clocks are one of a kind in design and consistently dependable for time keeping. Image Time clocks are famous for longetivity. Each clock is capable of keeping time for 100,000 hours or more without any problems, quality service equal to more than 11 years per clock! 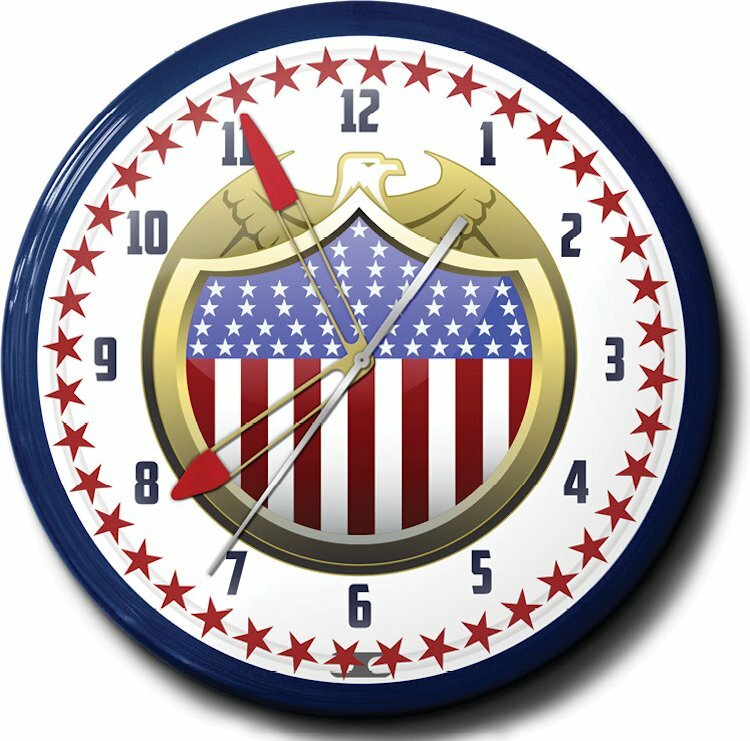 Recipients of one of these glorious clocks can adorn their walls of work or home proudly with the colors of Old Glory. American Eagle Neon Clocks by Image Time make awesome gifts! 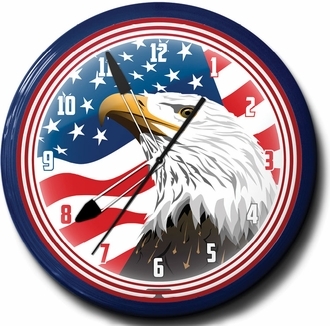 Subject: Neon Clocks with American Eagle patriotic artwork work / made in America.